Several weeks ago I attended my first community college commencement. Despite my staff status, I was pleased to be invited to sit among the faculty behind the stage. From this vantage point I was able to watch the ceremony and play a small role in it (faculty, please stand; faculty, please sit) while reflecting upon the conclusion of my first year as a community college librarian. I watched the joyful antics of our students, their families, and the pride in the faces of our faculty and realized truly, for the first time, that our college’s focus on student learning is not just a catch phrase. It is real, and it has helped to change the lives of nearly seven hundred people this year. This was, to say the least, a transformative year for me. I will admit now that I felt some trepidation last summer in altering my career path from university to community college libraries. It wasn’t because I would now have to drive fifteen miles to work instead of biking two. I didn’t mind a commute. And it wasn’t because this particular community college was only two years old and has not yet been accredited by our regional association, the Northwest Commission on Colleges and Universities. I was willing to bet on the success of this new institution and was excited about participating in its creation. Instead, the cause of my concern was something that most, if not all, of you will understand intuitively. The position I was interviewing for was a spectacular opportunity in terms of challenge and responsibility, and it allowed me to leap the typical years-of-experience requirements for a director-level role. It should have been a no-brainer, but at the time I had to ask myself the question: was it a step up or down? My name is Kim Leeder and I am a recovering snob. There, I said it. I might mention, in my defense, that I had never even visited a community college before (Seriously? Snob). Or that I only knew a few people who had attended a community college and had not talked to them about their experiences (Why wasn’t I interested? Snob). Or that I was simply a product of a society that devalues the critical role that community colleges play in higher education, such as in the current NBC show, Community (Better, but still a snob). The truth was that my ignorance was complete: until this position was posted and a friend brought it to my attention, I had not even thought about community colleges other than as the place you go for school when you can’t succeed at a four-year institution. Shall we say it together? S-N-O-B. Rather than continue wearing my snobbish hairshirt, I’d like to use the remainder of this article to share some of the inspiring truths I’ve learned about community colleges in the past year. Some of them may sound familiar, but I encourage you to pay attention because chances are you haven’t really listened before. For most people, something gets lost in the translation. What I’ve discovered is that when my colleagues and I try to share our enthusiasm about our work, our four-year peers just don’t really “get it.” In “What Graduate Students Want to Know About Community Colleges, Part 2,” Rob Jenkins observes, “professors at four-year institutions, and especially at research universities, do look down on faculty members at two-year colleges. It’s very easy for search committees to pigeonhole candidates with community-college experience as not worthy of serious consideration.” To their ears, our joys sound like rationalizations for our underachievements. Community colleges are often described as uniquely American institutions, or “people’s colleges,” in that they provide an education to everyone without prejudice. As Gail O. Mellow and Cynthia Heelan write in Minding the Dream, “[They are] committed to trying to create success for all manner of students who enter [their] doors…. it might be argued that community colleges are the single point of effective education for thousands of poorly educated poor kids” (10). High school dropouts, military veterans, laid-off workers, single mothers, immigrants, others facing unique personal or social challenges: all are welcome at a community college. The success Mellow and Heelan mention can look a wide variety of ways, too, from job training and professional certificates to transfer to a four-year institution. In this article, I offer you a glimpse of the community college lifestyle as you may not have seen it before. And for my community college colleagues out there, I hope you think I’ve done it justice. Your responses are invited at the end of this article, so please weigh in. A wonderful thing about community colleges is the fact that they are entirely focused on students and student learning. While faculty and staff have advanced degrees and many pursue research projects and professional service activities, the whole emphasis of our work is the students, their needs, and how to support them. For faculty, this translates into teaching loads that would be considered heavy at a four-year institution, but without research and service requirements. With faculty teaching more, class sizes stay small and students get face time with their professor instead of a graduate student assistant. For librarians, this focus on student learning means expanding our basic information literacy instruction efforts without any need to address upper-division or graduate course content. Considering the fact that many instruction librarians prize their upper-level instruction, this might sound like a deterrent to prospective community college librarians. However, based on my experience, the opposite is true: although I have taught more introductory information literacy in the past year than in prior years, I have also enjoyed it more than ever before. The reason for this? I’d like to say that I’m just creative enough to keep it fresh. But the true answer is: it’s the students. The university English composition courses I’ve taught for in the past, for example, have been full of traditional students more focused on texting their friends about the evening’s festivities than on learning about research. The community college English composition courses I’ve taught for, although identical in every other way to their university counterparts (and created so for transfer purposes), are different. The students are different: they’re talkative and engaged. They ask questions. They challenge me to explain why they shouldn’t just use Wikipedia when it has cited references and doesn’t that make it reliable? They debate and they argue. It’s delightful. There are a number of reasons why community college students are different. The simplest explanation is that they have had to work harder to get to college. Many of them have overcome significant obstacles to attend school, from family obligations to financial challenges. More than half are first-generation college students. As a result they are more motivated to get the benefit of the time and money they’re investing in their education than the average four-year college student. It’s also worth mentioning that community college students also differ widely from each other, so any effort to speak about their overall characteristics must be acknowledged as a generalization. After a year of teaching information literacy in the community college environment, I now feel a little sorry for my university colleagues who are still stuck wrestling students off Facebook. Where before I felt burdened by so many lower-division instruction sessions and looked forward to the upper-level courses, my viewpoint has rotated one hundred and eighty degrees. When I can count on my class presentation turning into a real conversation about information with curious students, teaching basic information literacy becomes great fun. It is essential that America begins to understand the college experience of the majority of its students in context. 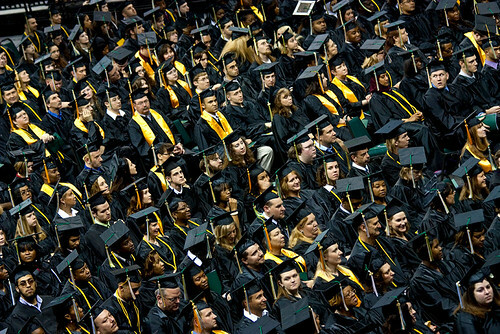 That context must consider the number of students, especially minority and urban students, who don’t complete high school in their teens, the number of well-schooled and middle-class students who enter but do not complete their studies in four-year colleges, and ultimately the impact of any educational advancement at any level as the United States moves into the future…. The issue is not who is in college, but who should be in college (8-9). For the students described by Mellow and Heelan, who comprise nearly half of all undergraduates in the United States, community colleges step in to fill the gap. Community colleges are the most democratic of all educational institutions, providing an affordable and accessible education to anyone motivated enough to pursue it. This mission means that community colleges make higher education available to those who are academically accomplished as well as those without much, if any, academic background. As Walter Benn Michaels demonstrates in The Trouble with Diversity that SAT scores, for one, correlate to annual family income, there are socioeconomic implications as well as academic ones (98). The community college mission results in a student body that tends to be wonderfully diverse in every demographic, including age, race, ethnicity, class, physical ability, veteran status, and more. In “The Myth of Inferiority,” T. Allen Culpepper asserts that students in general are “more alike than different” regardless of what type of institution they attend. Having taught at a variety of different types of colleges and universities, he has encountered poorly prepared and academically gifted students in his classes regardless of the institution. Culpepper admits that the proportion of poorly to well-prepared students tends to differ between institutional types, but the range of student preparation and ability is a constant across the board. This diversity of students and academic programs translates into libraries in a variety of ways. In reference it means understanding that many students come into our colleges who still need to learn basic study and computer skills as well as critical information literacy concepts. Brand new to academia, these students may not even know where to start when they have questions. The best community college librarians cultivate an open, patient demeanor to help students feel comfortable asking those “stupid” questions and learning the ropes. On the collection development side, librarians use their knowledge of their unique student body to select accessible–but not overly simplified–materials that address the wide mix of academic, professional, technical, basic skills, ESL, and community education programs that their institution may offer. Possibly the most pleasant surprise to be unearthed in the move from university life to community college life is the remarkable collegiality of faculty and staff at the latter. Many faculty and staff members at community colleges hold Ph.D.s, but research degrees are considered to be more in the realm of recreational activities rather than job requirements. With the competitive element of a more “rigorous” institution allowed to fall away, faculty and staff become more relaxed, more open, and frankly more fun to work with. Individuals are judged, if they are judged at all, based on their teaching and service to the college, not external achievements. No workplace is perfect, of course, but overall at a community college you’ll find that everyone is on the same team. As described earlier in this article, community college staff and faculty are there for the students first, and this emphasis brings everyone together in wonderful ways. This holds true for librarians as well. While the Master’s-Ph.D. tension doesn’t generally translate to librarianship, the student focus is universal. Those interviewing for librarian positions at community colleges should not be surprised if hiring committees are less interested in their publications and research plans than in their on-the-ground work with students, their expressed understanding of the community college mission, and their approachable energy and enthusiasm. The heart of the issue is: tell us about your work with students, your great ideas for making the library better for them, and how you’ll partner well with faculty. That’s what matters most at a community college library. If you look down on community colleges, consciously or unconsciously, you may be surprised to learn that community colleges don’t look up at you. Faculty, staff, and students are proud of their colleges and their accomplishments. An Associate’s degree may seem like a small thing to some, but when an individual has overcome all odds to complete a two-year degree, you can bet they’ll be proud – in fact, just as proud as the faculty and staff will be of them. My particular institution doesn’t even have sports teams, but we wear our logo items with pride, knowing that we’re contributing to and supporting something bigger than ourselves. One of the best things about community colleges is that they make an impact. This was evident at my college’s commencement: the stories of our students’ achievements and the obstacles they had overcome made me feel that I was truly doing work that was helping to make other people’s lives better. According to most estimates, about half of all community college students require some developmental coursework to prepare them for undergraduate study. Without community colleges to provide such students with a bridge to further study or careers, they would have very little opportunity to advance. Mark Blankenship, in “Is Community College Really College?,” notes, “community colleges are not only enrolling students, but also helping them to become upwardly mobile for the first time.” Community colleges offer every citizen the opportunity to become more informed and to improve their life, in whatever ways they define that improvement, through education. It is completely egalitarian and completely inspiring. [A]ll I can say is: I wouldn’t trade careers with anybody. I enjoy the work that I do, I like my students and colleagues, I believe that I’ve been able to make a difference in people’s lives, I’ve found it relatively easy to maintain an acceptable balance between work and life, and I’ve been able to make a decent living. What more can anyone ask from a career? After my first year as a community college librarian, I find Jenkins understated. Perhaps the shine will fade and the honeymoon will come to an end, but for me the shift from university to community college has been enlightening, inspiring, and fun. My institution boasts warm, collaborative staff and faculty, interesting and committed students, and a creative, agile environment that is more focused on student success than institutional bureaucracy. If the other community colleges in this nation are even half as wonderful as places to work, the rest of you are just plain missing out. Warm thanks to Ellie Collier, Erin Dorney, Micah Vandegrift, and Eric Phetteplace for their thoughtful feedback that helped to shape this article. What a wonderful affirmation of my experience of nearly 40 years ago this article is. Coming from a university to a community college to teach I felt I had come home to a place where students weren’t the adversaries; the whole community worked together so that everyone could succeed. What exciting places community colleges are. I’m so glad to see that, even though I’ve retired, things are humming along nicely in the community college ranks! I was also a community college snob! I went to a four year college and a very good library school. I took some Spanish classes at our community college a few years ago, thinking it would be an easy A. After all, I have advanced degrees. Was I ever wrong! I had some of the best teachers ever, and worked very hard. I have a great deal of respect for community colleges now. Thanks for an interesting post! I worked for 3 years on a collocated campus with both 4 yr and CC institutions; I’ve since moved to a 4yr liberal arts college. I miss my community college students and non-traditional students the most – they brought such an appreciation of their opportunities and focus to what they did. Some of the best students a librarian could ever ask for! No snobbery from me: As someone who started their academic career as a returning adult at a community college, I could not be prouder to return as a librarian. I can seriously say that I could not have gone as far with out the solid support and instruction I received in those years. I am super thrilled to be paying forward the enthusiasm and encouragement to these students, and supporting them in whatever endeavors they choose. I just finished teaching an LIS program class focused on community college librarianship and thank you for affirming what I and my co-instructor said to the students repeatedly. You and interested readers might want to read another article by Jennifer Arnold (“The Community College Conundrum: Workforce Issues in Community College Libraries.” Library Trends 59, no. 1–2 (Summer/Fall 2010): 220–236). Thanks for sharing that article. I was going to join the discussion here and ask what exactly the LIS programs are doing to prepare a workforce for community college librarianship, so I am very glad to hear you’ve had the opportunity to teach that class. Might I inquire what program you taught it with? Further, are there a different set of skills required for serving a community college patron that are dissimilar from academic librarianship? Does this issue of snobbery extend to the ever-present “public librarian v. academic librarian” debates in our field? Are we all really willing to accept that everything is better and more collegial at a community college? Wonderful questions Micah. I teach at the University of North Carolina at Greensboro (a smaller UNC campus). I would say that the skills are not different but you use a much broader range of skills then you would at a four-year college (unless it is very small). When I worked at a community college I did reference, instruction, collection development, systems administration, and some cataloging. And the clientele are different – there are some people who think that community colleges are more like public libraries than college libraries but another part of the mix is that they are like school libraries. Yes, there is the feeling that community college students are the great horde, but they are motivated to succeed and that is refreshing. *amount of attention, patience and emotional involvement regarding students – I’m allowed (and expected) to walk away from the desk to help students (in the stacks, at their computer, wherever) and I think it does take a slightly different set of skills to be able to help a student who is struggling with something we tend to consider ‘basic’ than it does to help a PhD student with higher level research. I call on my information therapist hat more in my CC jobs than I have in other positions. Ms. Bird!! I was in your class at UNCG!! I am Library Director at a technical college in Georgia now and I love it! I would agree that we use a broad range of skills here and while we all have primary responsibilities, we all end up doing everything at some point–which I love. Also, I feel that we get to have more personal relationships with students here than I experienced at the large university libraries. Our students are definitely a mix of ages, experience and skill level but that keeps it interesting. When we see someone graduate that has overcome either personal or educational difficulties its really exciting. Of course, its not perfect and there are challenges that we face that are different from other types of higher ed libraries. So far the biggest difficulty for me has been that many things (research, conferences, products) are geared toward larger 4 year schools with more money to throw around and it can be hard to find materials that support technical programs on the level that we require. Anyway, loved the article! Jumping in late, but it actually seems to me that community college libraries often blur the line between a public library and an academic library. Even though the community college I work at now is across the street from the public library, we often get community members (many alumni, but not all) who come in to do research, use our computers, or ask reference questions. I love community colleges because of the wide range of patrons I encounter – high school students, recent working high school grads, second career students, professionals looking for further training, students looking to gain transfer credit to the big universities nearby, and students returning to school after looooong breaks. they each present unique issues and challenges that keep my job interesting and extremely rewarding. I have been a librarian for 28 years at Austin (TX) Community College and there have been multiple studies of how our students who transfer to the Univ. of Texas have done. Consistently they have a higher completion rate than “native” UT students who began there as freshmen. Thanks for writing, this is a nicely upbeat post. It’s great to hear from another community college librarian! — If you dig around in ipeds ( http://nces.ed.gov/ipeds/ ), I think you’ll find numbers showing that the majority of faculty teaching at community colleges are adjuncts (i.e. part-time contract workers). The impact of this could be an entire post itself, and while it doesn’t diminish the point that students do get face-time with professors, it does mean that the professors can be there for one semester and gone the next, and unfortunately they are often not treated as full members of the college community. This is changing — there are efforts to retain adjunct faculty and include them in more of the college community, but presently not all community college students have access to full-time, long-term faculty members and the accompanying knowledge base they provide. — I’d say this varies considerably by discipline and institution. At least at the college where I work, a terminal degree (=PhD except in fine arts) is expected at least for promotion, and to rise to the level of a dean it is a requirement. Kim, great post and insights. I worked briefly at a community college and was very impressed with the student centered approach. They was more emphasis on student success and getting students the tools they need. Their tutoring program was robust and was the main draw for library use. Many community colleges are also leaders in assessment. In libraries, we often talk the talk about being student-centered but many community colleges walk the walk better than we do. This is a great piece, Kim. Maybe you’re right–maybe I am just a little jaded after 25 years. But your fresh viewpoint gives me renewed enthusiasm for the work we do. Thanks for writing this, and thanks for the multiple plugs. I’m also finishing my first year as a full-time Community College librarian, and much of this rings true for me. I also want to underscore Olivia’s comments about adjunct faculty, a very important point and a big part of CC life. Thanks for a great post and your enthusiasm for our important work! This was just what I needed! I’m about to leave my university library position for one with a community college. Reactions have ranged from hearty congratulations to wide-eyed disbelief that I’d make such a choice. Thanks for renewing my enthusiasm for the world I’m about to enter! Great post! Who in their ‘right mind’ would forsake the convenience of urban life after 20 years for the isolation of community college in a tiny town? That would be me! The truth is: I am committed to people and see my move to a small community college library in SE New Mexico as a wonderful challenge of service, personal and professional growth! I have never thought of the community college or its students nor faculty as ‘less than’ but I have gotten that feeling from others would do not share my sense of adventure and service. I have many opportunities to teach, to lead, to mentor and to serve. I love working as the director of a small CC! How Refreshing!!! Kim – I told you when you pitched this topic that it made my heart sing and the full article does even more so. And look at all our fellow CC librarians commenting here! Thanks for articulating this for us. When I moved from a 4 year liberal arts college (9 years) and a state flagship university (9 years) to a community college, I too found students who want to learn, want to explore, and make connections. It’s a great place to be. The professors want to teach and are open to partnerships. Student learning is a priority and the opportunities for librarians to support that learning are amazing. I’m amazed that I somehow missed you making the leap to CC work. Fantastic! Thanks for shining a little light into all we do. Community college libraries are about as “real” an academic environment as it gets – real struggles to pay for college, real value for the education received, real attention to doing more with less (for librarians and students), real goal-driven, real(ly) aspirational and inspirational. Thank you for posting this. I went to a Community College after high school because I couldn’t afford a four year University. My school was five minutes from my home and allowed me to have half of my undergraduate education paid for by scholarships (thank you Bright Futures for paying for 100% of AA degrees even if you were only awarded a 75% scholarship). As a result my student loan debt is quite low compared to some of my friends. I’m now half way done with my MLIS and am proud to tell people I started at a Community College. No matter what they say I feel it is the best thing for students who are unsure of themselves, or don’t have the finances to go to a four year university right off. Take everything you wrote about Community Colleges, multiply the sense of snoobery by 10, and apply that to those of of us who work in For_Profit Educational settings. That is how we feel when we go to Conferences, interact with Acadmic Librarians and the like. For us, it is even more about the student. This article is 100% agreeable material. But beyond that, it’s an eye-opener to the fact that the stereotypes of community colleges exist in the first place! Being a Saddleback student, I find it interesting that so many fellow students are excited about transferring instead of enjoying their Saddleback life just as well. There’s plenty of stuff to do at community colleges that most people don’t even think about. Here in California, many community colleges not only have awesome educational programs and get stuff done at an amazing rate while keeping class sizes fairly small, but they also compete against each other in the many athletic and kinesiology programs offered, which makes school not only educational but also fun. Plus, the community college I go to (once again, Saddleback) also has its very own radio station (KSBR)! It’s mostly jazz and what not, but it’s listened to throughout Southern California, and I wouldn’t be surprised to hear some of my friends who play guitar, sax, and other instruments in the jazz combos there end up on that station.